This article is about the species. You may be looking for the language and alphabet. "Matoran workers have always been among the most important inhabitants of the universe. Without them, the will of the Great Spirit Mata Nui could not be carried out." Matoran are the main inhabitants of the Matoran Universe and the chosen race of the Great Spirit Mata Nui. The Matoran were the first beings to be brought into existence by the Great Beings for the universe they were planning. They based their creation on the Agori, a preexisting species of similar stature. However, at that point, the Great Spirit Mata Nui had not yet been created, and thus the Matoran labored in darkness, unknowingly constructing Mata Nui and the world that would be theirs in the process. The first type of Matoran was the Av-Matoran, starting with eccentric Takua. The Av-Matoran were created as prototypes with more powers and abilities than later types, including the ability to channel their innate Light powers, and a possible destiny to transform into Bohrok. Eventually, different types of Matoran were brought into being, smaller in overall stature and lacking the direct elemental powers of the Av-Matoran. The purpose of the Matoran was to construct and work in the Matoran Universe. The Matoran were the creators of the cities and villages scattered across the Matoran universe, such as Artakha, Metru Nui and the Southern Continent. The Matoran did not inhabit the entire Matoran Universe, as there were other species of beings fulfilling various roles in other regions, but they did inhabit a vast majority of it. One of the Great Beings disguised himself as a Matoran named Velika, in order to observe the inner workings of the Matoran Universe. He was responsible for the Matoran's development of true sapience and culture. The Matoran made their homes in many varied environments and have many different ways of living. Prior to the Great Cataclysm, for instance, those Matoran living in the island city of Metru Nui were almost completely dependent upon the present Toa and inventions and technologies, such as the Vahki, for protection. After their migration to the island of Mata Nui on the planet surface, the Matoran villagers became semi-independent, and learned to survive and defend themselves, although they were still somewhat reliant upon the Toa for protection after their arrival. On the island of Voya Nui, however, the Matoran were completely independent, with no Toa or Turaga to turn to, and were determined to solve their problems on their own. Most Matoran lived in areas only populated by themselves, but some Matoran lived in regions with other species, such as on the islands of Nynrah and Stelt. The Matoran, after Teridax's death and the collapse of the Matoran Universe, migrated out of the robot and onto the newly reformed Spherus Magna. In this alternate reality, Tuyet took over as Empress of the newly formed Toa Empire, enslaving the Matoran and forcing them to worship Toa. Some Matoran joined an underground resistance movement. When Matoro failed to save Mata Nui in this alternate universe, the Matoran race evacuated to the island of Mata Nui with most of the Matoran Universe inhabitants. In this reality, the Matoran were created the size of normal Toa and did hard labor work. In this universe, the Matoran departed the Matoran Universe after Mata Nui completed his mission, and began to live with the Agori and Glatorian on Spherus Magna. Physically, Matoran are small in stature, but they are strong and very enduring at heart. They are dependent upon the wearing of their powerless Kanohi, without which they will weaken and be rendered comatose after a prolonged period of time. They do not, however, have the mental discipline needed to use the power of a Great or Noble Mask. Each Matoran has an innate connection to their given element, and can manifest the ability in a small way. Matoran have the ability to eat by coming into physical contact with an energy-bearing object such as a fruit, berry, or fish. In place of an organic heart, Matoran have some sort of power plant containing their life force. They also have an organic set of lungs and muscles, among other organs. Matoran breathe oxygen and, like organic beings, they need to drink water or liquid protodermis in order to survive. [CwGF] They do not need to eat or sleep as much as their Agori counterparts, due to their partially mechanical nature. [CwGF] Matoran will not undergo physical aging as long as their mechanical components are maintained, although it is unknown if they can show signs of mental aging. The Matoran vary in size and shape, depending on the region from which they originate. Their size can also be altered through various means; the stature of the Matoran of Mata Nui was diminished due to prolonged exposure inside the Matoran Spheres, while Karzahni's failed attempts to repair the Matoran of Voya Nui resulted in their diminishment. Both populations have since been restored to their original sizes - the Mata Nui Matoran through a rebuilding process, and the Mahri Nui Matoran through exposure to Pit Mutagen. Av-Matoran can also become larger than other Matoran when exposed to the energies of Karda Nui. Most Matoran are inherently inclined toward being good-natured, but can succumb to greed and desires for personal gain. Examples of this are Ahkmou, who attempted to betray the city of Metru Nui to the Dark Hunters for personal gain, and Vultraz, who killed an entire village to acquire a single lava-gem. Like many other beings in their universe, Matoran have the ability to merge their bodies and their minds. Matoran Kaita are powerful beings formed when three Matoran of any different elements merge to form one larger being. The Matoran Nui is created when six Matoran fuse together - only two known Matoran Nui have been formed. Many different types of Matoran exist, each affiliated with a certain element of their universe. The Matoran have different stages of power; a few of them are predestined to become Toa, and possibly later Turaga, although they are still considered members of the Matoran species. However, some Toa, such as Helryx and Orde, had begun as Toa and never were Matoran. All Matoran have innate Elemental Powers, which are fully activated upon becoming a Toa. These innate powers are weak, manifesting themselves in small ways. Ta-Matoran are the Matoran of Fire, and can tolerate extreme heat. Their armor and Kanohi colors include red, orange, yellow, and black. Ga-Matoran are the Matoran of Water, and are able to hold their breath longer than other types of Matoran, as well as being adept swimmers. Their armor and Kanohi colors include various shades of blue. The Le-Matoran are the Matoran of Air, and have great agility and speed in tall structures but are clumsy and awkward on solid ground. Their armor and Kanohi colors include various shades of green. Po-Matoran, the Matoran of Stone, are physically stronger than other types of Matoran. Their armor and Kanohi colors include brown, tan, orange, yellow and black. Onu-Matoran are the Matoran of Earth, and have limited night vision and enhanced strength. Their armor and Kanohi colors include black, dark gray, purple, tan and orange. Ko-Matoran are the Matoran of Ice, and can tolerate intense cold. Their armor and Kanohi colors include white, gray, sand blue, silver, light blue and black. Av-Matoran are the first breed of Matoran, and are Matoran of Light. They also have limited elemental light powers, allowing them to shoot bolts of light from their hands. Av-Matoran also gain special light-based powers when physically linked to a Toa or Makuta. Av-Matoran armor and Kanohi colors are white and gold by nature, but they can change others' perception of their body colors by bending light. Unlike other Matoran tribes, they are neither exclusively male nor female. Matoran of Shadow are Matoran whose light was drained. They have the ability to launch bolts of Shadow. Shadow Matoran who were corrupted from Av-Matoran also gain special shadow-based powers when physically linked to a Toa or Makuta. As they can be created from any Matoran, they can be male or female. Vo-Matoran are the Matoran of Lightning, and have a resistance to electric shocks. Their armor and Kanohi colors are blue and white. Fa-Matoran are Matoran of Magnetism, and have an internal compass and a better sense of direction than other Matoran. 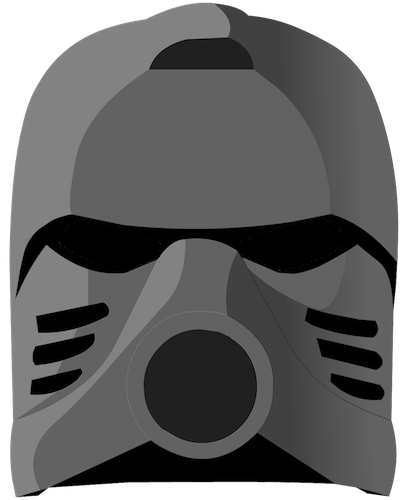 Their armor and Kanohi colors are gunmetal gray and black. Su-Matoran are the Matoran of Plasma. Their elemental power manifests as eye protection against bright light[CwGF] and the ability to resist extreme heat. [CwGF][CwGF] Their armor and Kanohi colors are orange and white. Ba-Matoran are the Matoran of Gravity, and have a resistance to high gravitational pressure. [CwGF] Their armor and Kanohi colors are purple and black. They are rarer than other Matoran types. De-Matoran are Matoran of Sonics. They have very acute hearing, and thus prefer to live in quiet regions. Their armor and Kanohi colors are grey and black. Bo-Matoran are Matoran of the Green and have an innate understanding of plant attributes, such as poison. [CwGF] They prefer to live in forests or jungles. Their armor and Kanohi colors are blue and green. Fe-Matoran are the Matoran of Iron. They are known to be more physically endurant than other types of Matoran. Their armor and Kanohi colors are gray, metallic gray, gold, bronze, and burnt orange and vary by region. Ce-Matoran are the Matoran of Psionics, and are mentally guarded from outside influences. Their armor and Kanohi colors are blue and gold. Protocairns - A group of Matoran who exposed themselves to Energized Protodermis and transformed into Rahi-like beings. Matoran rebuilt by Karzahni; some were sent to the Southern Continent, while others remained in Karzahni's realm until they were rescued by the Toa Nuva and taken to live in Metru Nui; several Matoran who were turned to stone in the realm of Karzahni for being lazy were destroyed along with the rest of the realm. A Matoran of Mahri Nui who instructed Kyrehx on various sea life at the city's school and had a hobby of carving stone replica Kanohi. The war leaders of the Matoran Civil War, who were banished to the Pit. Two Matoran from Artakha that built Toa Canisters, one of whom is a Ga-Matoran. A number of Antidermis-infected Matoran that died when Mount Valmai erupted. A village of Matoran wiped out by Vultraz. Mazeka's mentor; killed by Vultraz. A number of Matoran lived in a land distant to Odina; Conjurer gained power over them using advanced technology he described as magic. A number of Matoran lived on an island once attacked by Poison. Several Matoran that were killed during the Battle of Bara Magna. Most Matoran hail and follow the Great Spirit Mata Nui, and keep faith in his legends. They show their loyalty through their devotion to the Three Virtues laid down by Mata Nui, as well as hosting distinctive events dedicated to the Great Spirit and the virtues, and through special chants. Matoran usually have a good relationship with the Toa, and look up to the heroes as their protectors, relying on them for defense. When Toa are not present, Matoran are capable of defending themselves, organizing themselves into Militaries and fighting groups. The Matoran on Mata Nui used to be rather isolated from each other in their own Koro, but this was largely diminished after the arrival of the Toa Mata. The rampage of the Bohrok also helped unify the Matoran. This isolationist tendency caused the Matoran Takua, who wandered from Koro to Koro across Mata Nui, to be thought of as strange and irresponsible and resulted in his temporary banishment from his home in Ta-Koro. The Matoran were forgiving, however and they welcomed him back after he showed true courage and bravery in his deeds. On Metru Nui, the Matoran were much less cut off from each other, though they lived in separate Metru also. The work from one Metru may be used in another, like how Protodermis would be purified in Ga-Metru and sent for use elsewhere. The Matoran of Voya Nui had the least amount of seclusion, as all the Matoran lived together for protection. They had never met a Toa before, and had to defend against any threats to their homes by themselves. The original purpose of the Matoran was to construct Mata Nui, and by extension, their entire universe. After that, their purpose was to keep Mata Nui alive as the Great Spirit requires the life of the Matoran inside of himself for his well-being. In order to keep Mata Nui alive, Matoran practiced a great many trades and professions. From Military, to invention, to competition, the relatively specialized labors of the Matoran were essential to the function of the universe. The halting of their work would impair Mata Nui's health as demonstrated in the Great Disruption. Mata Nui - Formerly; the Matoran of Metru Nui were evacuated here after the Great Cataclysm. They later returned to the city, and the island was destroyed by Mata Nui's Reawakening. Metru Nui - Formerly; The Matoran capital and most important island in the Matoran Universe, but severely damaged and evacuated after the Battle of Bara Magna. Artakha - Formerly; Matoran who were exceptionally good crafters were chosen to live here, but all have since evacuated. Northern Continent - Formerly; all surviving Matoran residents evacuated the universe after the Battle of Bara Magna. Nynrah - Formerly; home of a group of Fe-Matoran known as the Nynrah Ghosts. Xia - Formerly; some Nynrah Ghosts lived here. Stelt - Formerly; all surviving Matoran residents evacuated the universe after the Battle of Bara Magna. Southern Continent - Formerly; all surviving Matoran residents evacuated the universe after the Battle of Bara Magna. Voya Nui - Formerly; some of the Matoran "fixed" by Karzahni were sent here. All surviving Matoran residents evacuated the universe after the Battle of Bara Magna. Mahri Nui - Formerly; a section of Voya Nui that broke off into Aqua Magna. The Matoran survived by harvesting air from the surrounding Airweed fields. The Matoran later evacuated to Voya Nui before the location was crushed. Av-Matoran Homeland - Formerly; all surviving Matoran residents evacuated the universe after the Battle of Bara Magna. Karda Nui - Formerly; some Av-Matoran villages fell down into Karda Nui during the Great Cataclysm. All of the Matoran later evacuated to Metru Nui. Southern Islands - Formerly; all surviving Matoran residents evacuated the universe after the Battle of Bara Magna. Spherus Magna - After the Matoran Universe was critically damaged in the Battle of Bara Magna, all surviving Matoran immigrated to Spherus Magna to make a new life for themselves. The first Matoran sets depicted the six Matoran Jaller, Macku, Kongu, Hewkii, Onepu, and Matoro after their diminishment by the Matoran Spheres. These were released in McDonald's Happy Meals in October 2001. Each of these sets contained eight pieces including a Bamboo Disk, which could be thrown if one placed the disk in the Matoran's right hand, and pulled back on it to then release the disk. In 2002 two more Matoran of similar build were released: a Hafu figure as part of the Power Pack, and a Nuparu figure as part of the Boxor set. In 2003 six more Matoran were released as small boxed sets: Hahli, Macku, Hewkii, Hafu, Matoro, and Kopeke. Each of these contained twenty-five pieces, including a Kolhii Stick and Kolhii Ball. Two more Matoran of identical build were also released in large boxed sets that same year: Jaller in the Jaller & Gukko set, and Takua in the Takua & Pewku set. All of these sets depicted these characters following The Rebuilding. The six small sets of early 2004 also depicted Matoran, this time the finders of the Great Disks. Each of these sets included twenty-seven parts including a Disk Launcher and a Kanoka from their Metru. Their forms were depicted prior to their time spent in the Matoran Spheres. In early 2006, the small boxed sets of the year featured the Matoran of the Voya Nui Resistance Team. The posture of these sets varied greatly from that of previously depicted Matoran, since the Matoran of Voya Nui had been "repaired" by Karzahni. Four Matoran sets appeared in 2007: Dekar and Defilak as small sets early that year, and Sarda and Idris as part of the later Karzahni set. Each wielded some variety of Electro-Blade, and represented a group of Matoran modified by Karzahni but mutated by the waters of the Pit. The small boxed sets of early 2008 depicted three Av-Matoran (Tanma, Photok, and Solek) and three Shadow Matoran (Radiak, Gavla, and Kirop). All of these contained fourteen parts, besides Radiak who contained sixteen. The Shadow Matoran Vican also appeared in early 2008 with Makuta Mutran in a large boxed set. The two Matoran Mazeka and Vultraz appeared later that year in large boxed sets of the same names. The original name for Matoran was 'Tohunga', which was first used in 2001. The name was used throughout the popular Mata Nui Online Game and in the original title of the Game Boy Advance game BIONICLE: Quest for the Toa. It was also featured in the 2001 McDonald's promotion. However, Tohunga was a word from the Maori language (meaning spiritual advisor) and its usage angered the Maori people, and The LEGO Group was forced to change it to 'Matoran', which has been used from 2002 to the present. Several character names were also forced to be changed. "We may be doomed to fall, but before we do, we'll give our enemies reason to regret the day they set foot here. Let's show them you don't have to be a Toa to be a hero." Matoran are made up of 85% mechanical protodermic parts and 15% organic protodermic parts. There are machines in the Matoran Universe that can create Matoran. The Turaga use them when more Matoran are needed for labor. [CwGF] Matoran created in this way cannot become Toa.